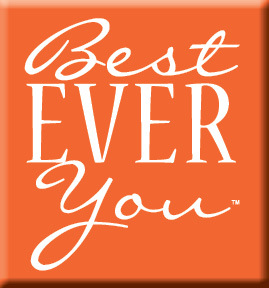 The Best Ever You Network - 8 Weeks to Your Best Well-Being Mindset Ever! ​Your well-being is key. Enduring the process of changing a behavior or several behaviors can sometimes feel like a grueling upward climb. Knowing that others have successfully made similar changes can make the climb a bit easier. Wellness is a choice we make either as a way of life, or it's sometimes forced upon us in the form of an illness or disease, problem, crisis or worse unless we learn and implement healthy practices. You can often make a small change in order to gain a huge rippling effect of well-being. What does wellness and well-being mean to you? Well-being isn't just about physical health, but also about mental health and choosing love. Well-being may mean creating an entirely new value system you implement for yourself. Practicing overall wellness has more components that just being able to squeeze into your jeans on any given day. Well-being is an overall way of choosing to live. It's healthier eating, a strong mind-set, regular exercise and a way to reconnect with yourself when the internal critic and worrying voice(s) quiet down. It's being ready for a big event NOW instead of procrastinating and going on a crash diet days before. The questions below will help you learn to Percolate and Create Your Own Best Blend. Please keep a journal. I'll add more questions as the weeks and days roll on. You well-being steps mean making a commitment to yourself to become healthy in all ways - physically, mentally, spiritually and emotionally. ​ Day 1: Are you in pain? What kind of pain? Where? Why? Pause and reflect on the pain and think about how we can take steps to bring you out of pain and shift into better overall well-being. ​Day 2: What do self-love and self-worth and self-control/awareness mean to you? ​ Day 3: How old are you and how old do you actually feel? Why? ​Day 4: How are you living your day to day life and how do you feel most days? ​ Day 5: What motivates you? ​Day 6: What are you go to stop doing? What are you going to start doing? What are you going to continue doing? ​Day 7: What is the difference, to you, between trying and doing? ​Day 8: What is your behavior like? ​Day 9: How is you health connected with your life? How much of how little do you pay attention how well you internal organs and systems are functioning? ​Day 10: What's your vision for yourself 6 months from now? 1 year from now? Five years? 10 years? 20 years? ​Day 11: Are you giving yourself the time in the day to be aware of your health and well-being? Are you giving yourself the time in the day to take action for your best highest self & well-being? ​ Day 12: Are you practicing reactive episodic health or are you proactively taking care of yourself with proper foods, exercise and mindfulness? ​Day 13: What is your truth? Are you denying your truth? Are you avoiding your truth? Are you lying to yourself? ​Day 14: Do you feel strong and in control of your well-being? ​Day 15: What have you started to do with this challenge that you weren't doing before? ​Day 16: Are you open-minded? ​Day 17: Do you set goals? What are some of your goals? Do you set goals to push yourself to achieve greater things? ​Day 18: Do you respect yourself? ​Day 19: Do You love yourself? ​Day 20: What are you worthy of? 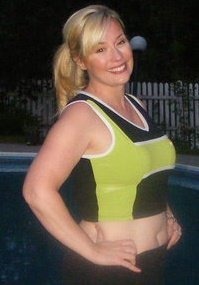 ​Day 21: Do you stay on track with your health, fitness and well-being goals when you are on vacation or travelling? ​Day 22: How many changes have you made to your life and well-being in just 22 days? For some it may take 22 days for the awareness levels to adjust and for change to happen? Where are you after 22 days now? What differences do you notice? ​Day 23: How can you start to clean up what you eat? What improvements can you make or have you made? ​Day 24: What is your attitude like? Day 25: Do you treat yourself and others with respect? ​ Day 26: Do you surround yourself with love, compassion and loving and compassionate people? ​Day 27: What's stopping you? ​Day 28: Are you frustrated with yourself and why? ​ Day 29: What changes can you make in your life to Choose Awesomeness as a regular part of your decision making and lifestyle choices? ​Day 30: How are you? ​Day 31: What changes have you noticed with your health, mood and overall well-being? ​Day 32: Are you sabotaging yourself? ​Day 33: Can you balance on each foot for 10-15 seconds? ​Day 34: Can you touch your toes? ​Day 35: Would you consider not eating animal protein? ​Day 36: How much water do you drink each day? ​Day 37: Can you run or walk a mile? What is your time? ​Day 39: Who holds your power? Day 40: ​Does the food you are eating heal you and help curb inflammation or does it hurt you and help inflammation fester? ​Day 41: How will you choose and implement well-being as your lifestyle? ​Day 42: What would happen if you centered your life around your own well-being? ​Day 43: Are you consistent? ​Day 44: List your excuses. ​Day 45: Do you need to make some changes to your job or life? Is there an issue that's really bothering you? ​Day 46: How old do you look? ​Day 47: Are you showing yourself compassion? ​Day 48: What really hurts? ​Day 49: Do you take medications to band-aid inflammatory conditions or do you address the root cause? ​ Day 50: What improvements have you made to your well-being since starting this challenge 50 days ago? ​Day 51: If not now, when? What's in the way of now? ​ Day 52: How do your parents, family and friends treat their own well-being? What are you observations? What can you do the same or differently? Day 53: When you commit to do something, do you go all-in and do or do you use the words "try, trying, trying to"? Day 54: What are your parents, friends and family eating and do they exercise? Observe behavior and write down what you see. Day 55: Do you smoke, drink, do drugs, take prescription drugs, take over-the-counter medications or energy drinks and if yes to one or more, why? What would it take to change? Day 56: What footprints are you leaving as you go through life? ​Elizabeth Hamilton-Guarino, Hay House author of PERCOLATE - Let Your Best Self Filter Through & founder and CEO of the Best Ever You Network, understands firsthand the challenges that life can bring and has worked with thousands of people worldwide to illuminate their light within and help them live their best life. She has a degree in communications and broadcasting; is a life coach, food-allergy expert, and anaphylaxis survivor; and is the host of The Best Ever You Show. Elizabeth is a certified Food Over Medicine instructor. Elizabeth and her husband and four sons live in Maine.